Event Pick: Oystoberfest 2017 at St. Thomas’ Episcopal Church | Night and Day | Style Weekly - Richmond, VA local news, arts, and events. If you’re like us, raw oysters remind you of sweet summer breezes and chilling at the beach. And they’re still tasty in the fall, too. 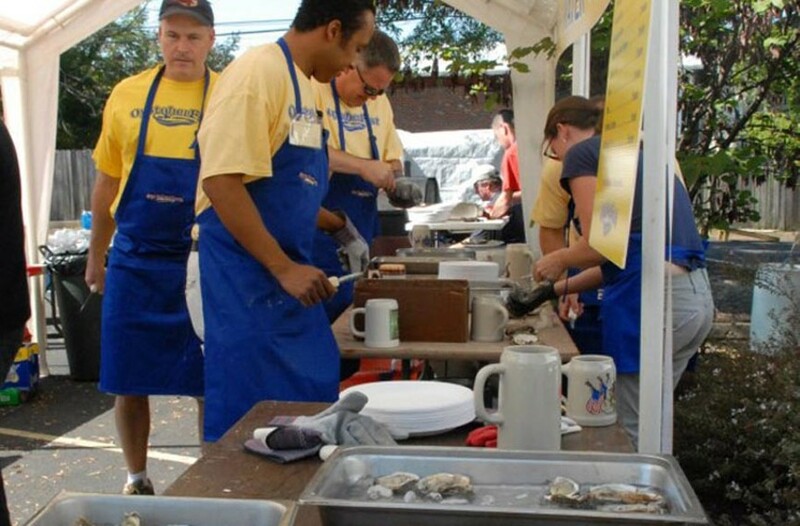 This Saturday, Oct. 21, local oyster fans will descend upon St. Thomas’ Episcopal Church in historic Ginter Park to chow down on loads of raw and steamed oysters, brats and beer. There’s live music all day featuring a very young band, the Neons; the Vassar Family (Southern gospel and bluegrass); the Mills Family (bluegrass and folk); the Atkinsons (Americana and rock); and Lenny and Supervixen (both rock). Noon to 6 p.m. Free to attend, but $2 donation suggested. oystoberfest.com.